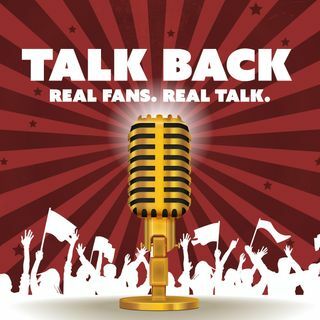 This week on episode 15 of Talk Back, hosts Eric Nesbit & Justin Gay continue through the NFL divisional previews with some insight into the Packers, Lions, Vikings, and Bears in the NFC North. They continue the show in the new segment featuring current events, called Talk Worthy, where they break down the comments Kevin Harvick made about Dale Earnhardt Jr stunting the growth of NASCAR, why the Cavs can't trade Kyrie just yet, and dealing with more NFL players protesting the National ... See More Anthem. In the lightning round, Justin gets a question about Ezekiel Elliott's 6-game suspension, and Eric talks about the depth of talent in golf after the PGA Championship. For more information about the show or upcoming content, follow along on Twitter and Facebook at @TalkBackFanTalk. Thanks for listening!